One of several families of that name flourishing in Russia. The ancestor of this particular family was Solomon of Wirballen (a town on the Prussian frontier), who came from Skud and was surnamed "Skudski." He was prominent as a financier, and he is recorded to have been one of the court Jews of Frederick the Great of Prussia. His son David of Yashinovka married a sister of Leiser (Eliezer) Rosenthal of Yashinovka, and, in accordance with the practise common at the time, assumed her family name. 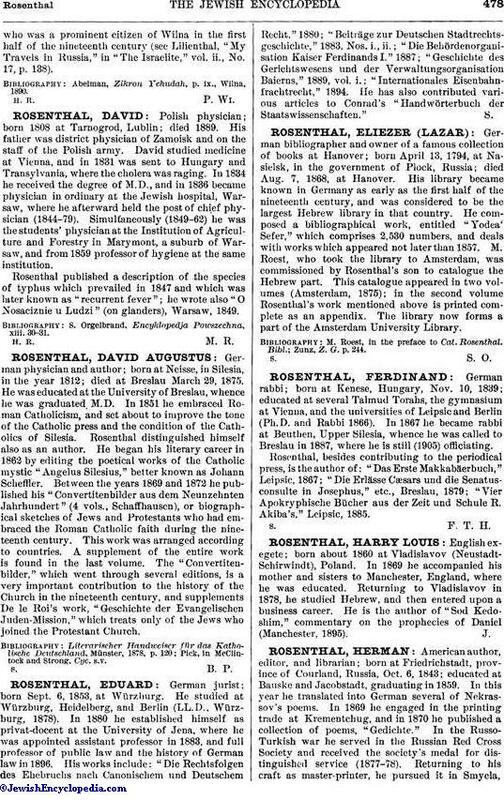 Their issue was: Moses, the father of Leon, Schemariah, Solomon, Wolf, and Yote; Loeb, the father of Solomon (d. Krementchug, 1885), Marcus (d. there 1896), Anna, wife of Herman Rosenthal, and Fanny, wife of L. Jacobovich; Abraham of Pinsk; and Gedaliah of Grodno (d. 1893). One of Schemariah Rosenthal's daughters married Albert Soloweitschik, formerly director of the Siberian Bank of St. Petersburg; the other daughter is married to Dr. S. Brainin of New York. 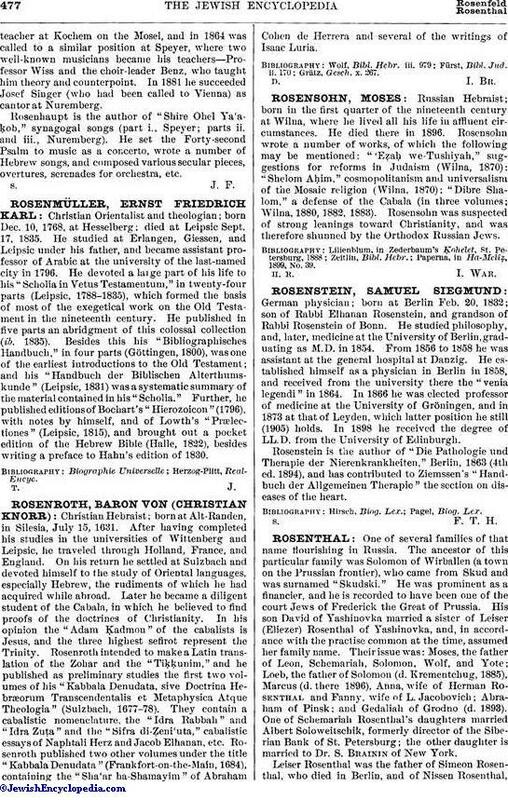 Leiser Rosenthal was the father of Simeon Rosenthal, who died in Berlin, and of Nissen Rosenthal,who was a prominent citizen of Wilna in the first half of the nineteenth century (see Lilienthal, "My Travels in Russia," in "The Israelite," vol. ii., No. 17, p. 138). Abelman, Zikron Yehudah, p. ix., Wilna, 1890.